We, Indonesian, celebrate Mother’s Day on December 22. History noted that on December 22 1938, on the 3rd Indonesian Women Conference, it is declared as Mother’s Day in Indonesia. 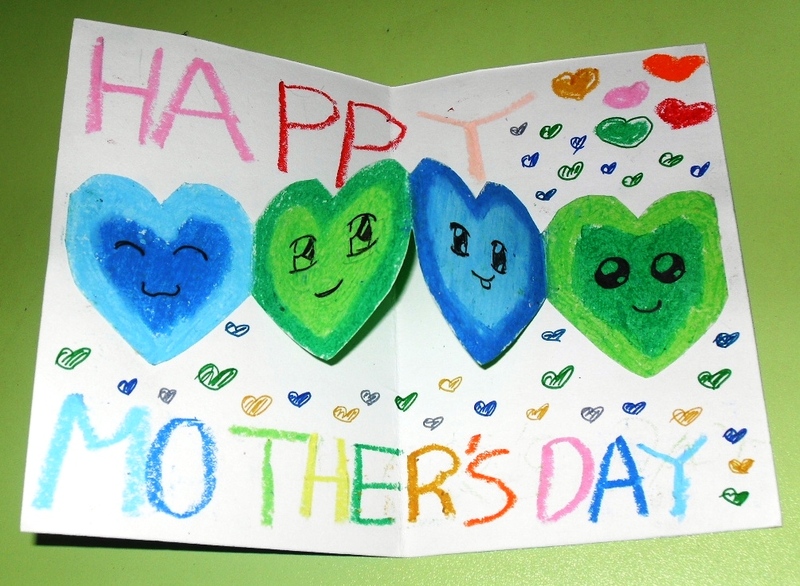 This year, just before the term end, I asked the students to make a mother’s day card greeting for their mothers. Applying pop-up technique, some of them made great artworks. I believe their mothers will be happy to receive the beautiful card from their children. Unfortunately, I did not get a chance to take picture of the best card before I return them to the maker. I just take a picture of one of it, left on my desk. Happy Mother’s Day for all mothers. This entry was posted in student's works. Bookmark the permalink.